This would go great in an Easter basket! 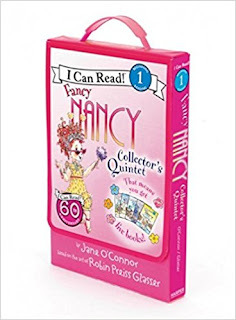 Hop on over to Amazon.com where you can snag this Fancy Nancy Collector’s Quintet (I Can Read Level 1) for just $6.94 (regularly $16.99)! This boxed set includes 5 different Fancy Nancy titles packed in a box with a Velcro closure and handle for easy storage.